I finally got back to knitting today, finished up a pair of gloves and started a shawl. 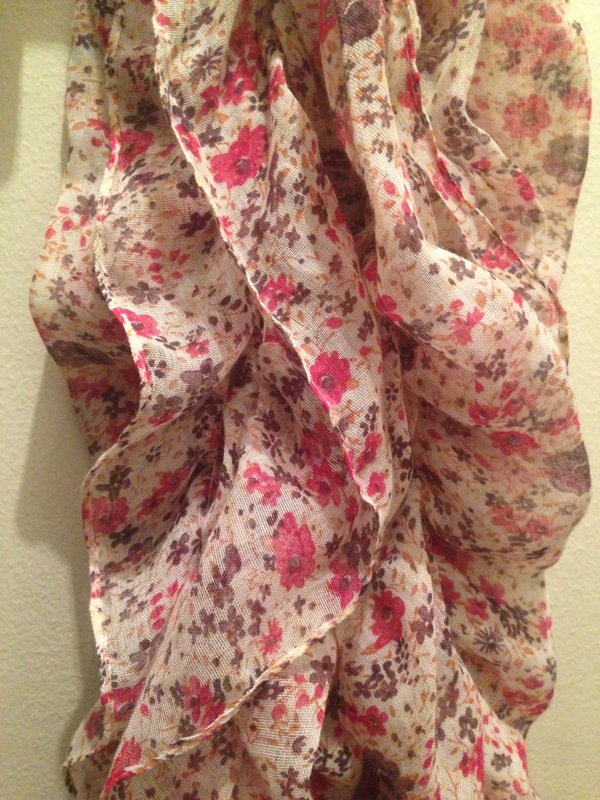 The scarf today is a fabric one, covered with purple and pink flowers. It’s different because there is elastic sewn up the middle so it bunches up. It’s nice and light, especially in this cold weather. But we hit 50 degrees today so YAY!! Not a long post today so I can get back to knitting. Can you believe that there’s only one day left in November?